Warner Bros. and DC Films released a new photo from the upcoming Justice League movie on Tuesday morning. 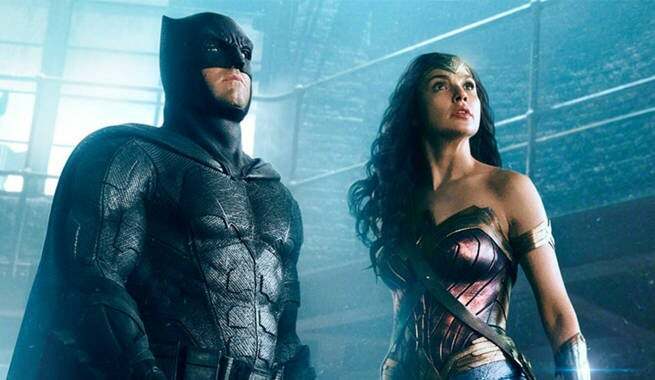 There was little context surrounding it but having visited the set, Comicbook.com can flesh out some details of the scene. Be warned: spoilers for a couple of scenes from Justice League follow. Batman, The Flash, and Wonder Woman are in a Gotham ventilation tower in this photo. It was a massive set built for an action scene. The group gets word of a parademon nest after a conversation with Commissioner Gordon and set out in Batman's new four-legged Crawler vehicle (a formidable spider-like tank which can crawl up walls). Digging their way through a tunnel to the ventilation shaft on (or near) Stryker's Island, Batman's Crawler uses various weapons to fend off ravenous parademons trying to attack them. Once inside, they find a massive horde of the creatures and fight their way out, including a sequence on a long and broken bridge outside of the shaft. Eventually, the Crawler ends up buried in water as the ventilation shaft presumably ends up flooded. Cue: Aquaman's entrance? It sure does look like someone made a surprising entrance by tossing Wonder Woman's shield down there! In any case, concept art showed the three heroes standing on top of the Crawler as it became consumed by water. Justice League is directed by Zack Snyder, from a screenplay by Chris Terrio, and features an ensemble cast that includes Ben Affleck, Henry Cavill, Gal Gadot, Ezra Miller, Jason Momoa, Ray Fisher, Ciarán Hinds, Amy Adams, Diane Lane, Jeremy Irons and Jesse Eisenberg.